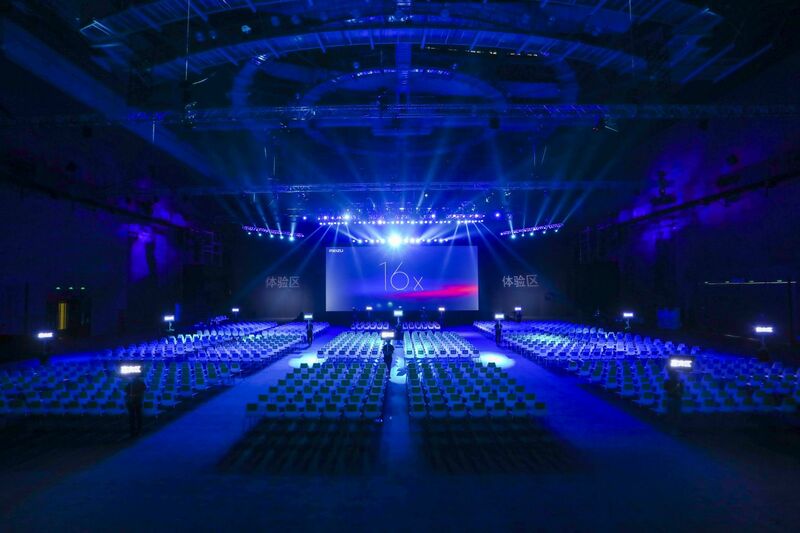 MEIZU 919 Product Launch: 16X, V8, X8 and more! These are pretty much all the info that are announced today. It's a really huge launch with so many brand new products! 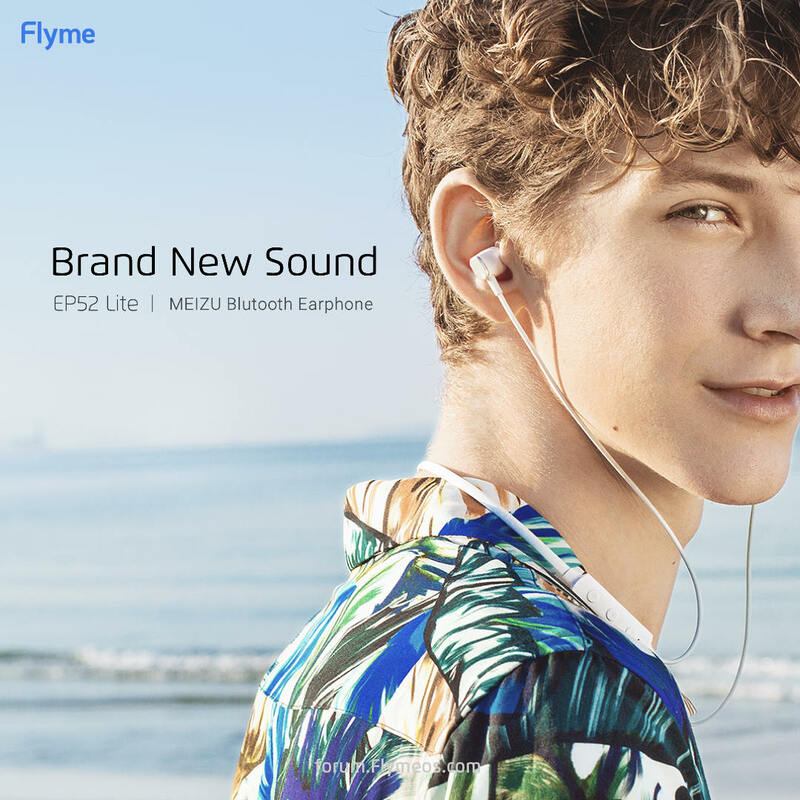 16th new color, 16X, M8, X8, EP 52 Lite and MEIZU Power Bank3! Which is your favorite? Leave your comment and let us know! Hey guys! 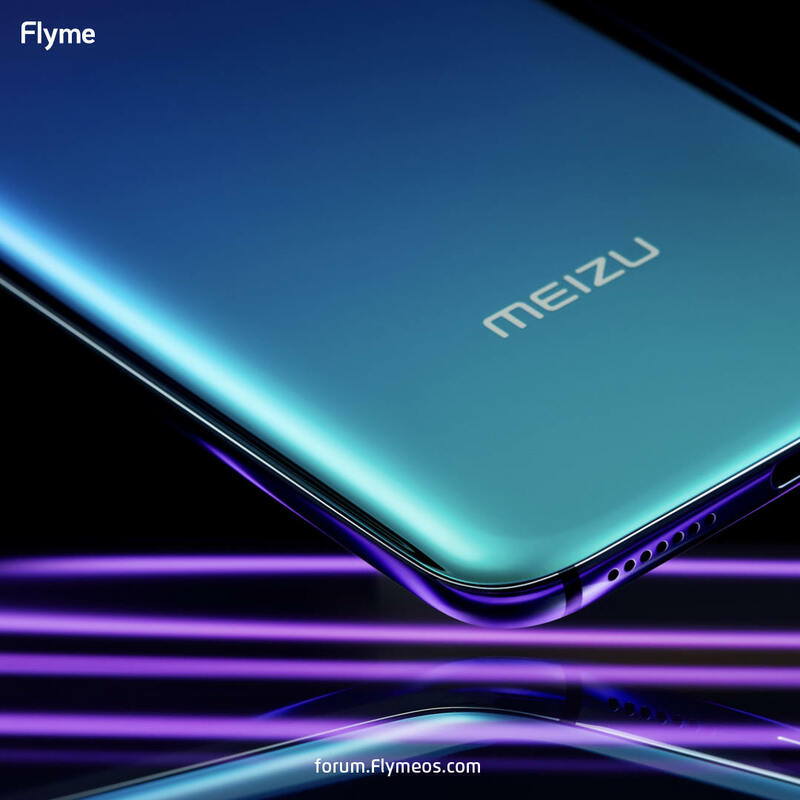 The new product of MEIZU 16 series is unveiling today! As always, our forum wouldn't miss it and will live update the photos and key information in this thread! And a small spoiler alert: more than 1 product is launching today! The event will be starting on 14:30 at Beijing local time (GMT+8), and we are updating live photos! 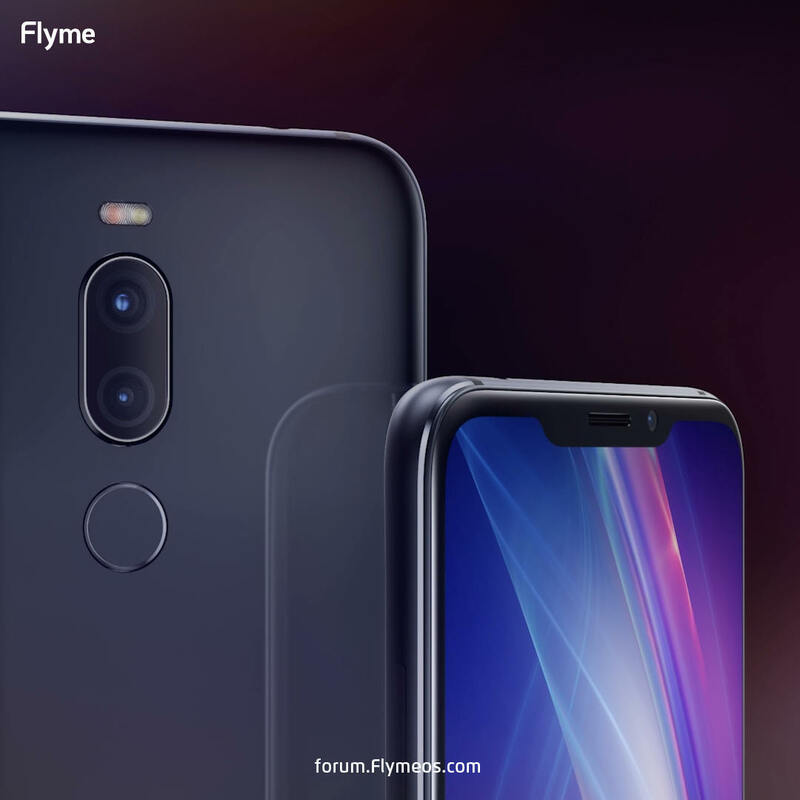 OMG there is another device coming! 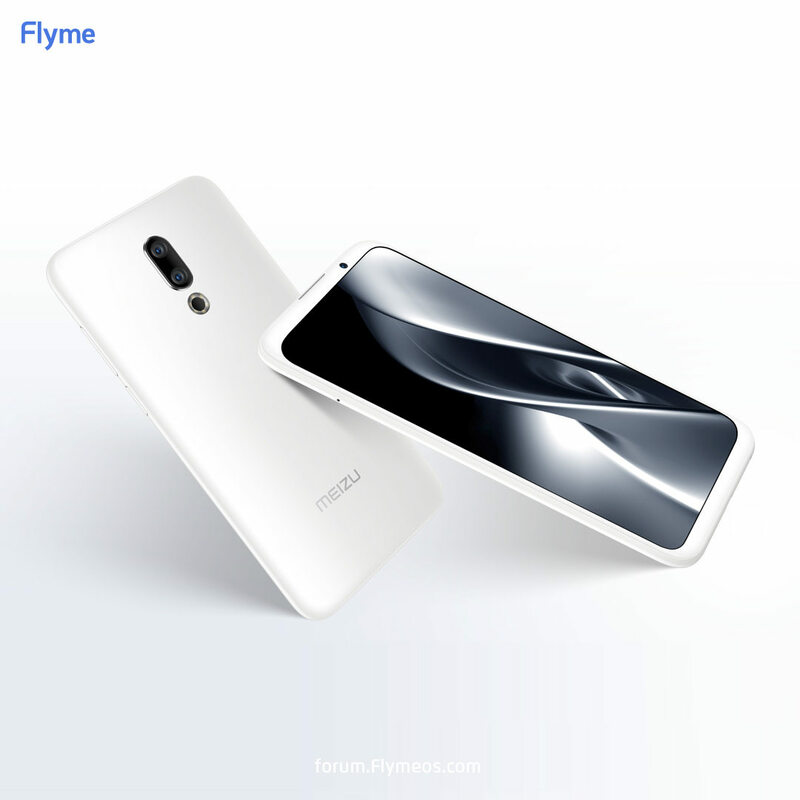 MEIZU X8! 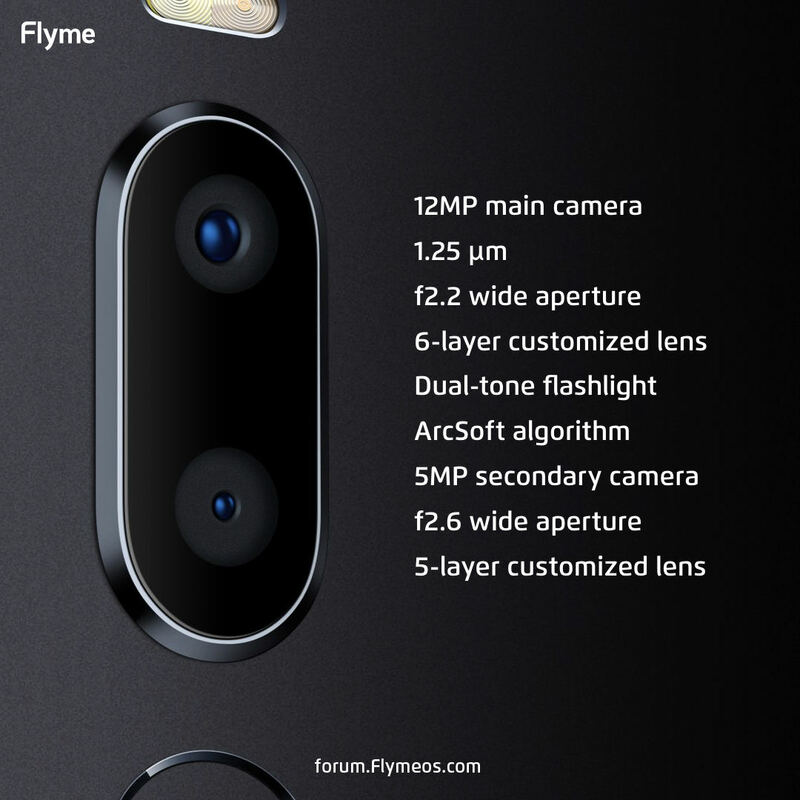 The position of X8 is very clear: not flagship, but smooth, easy operation, and excellent photo ability. 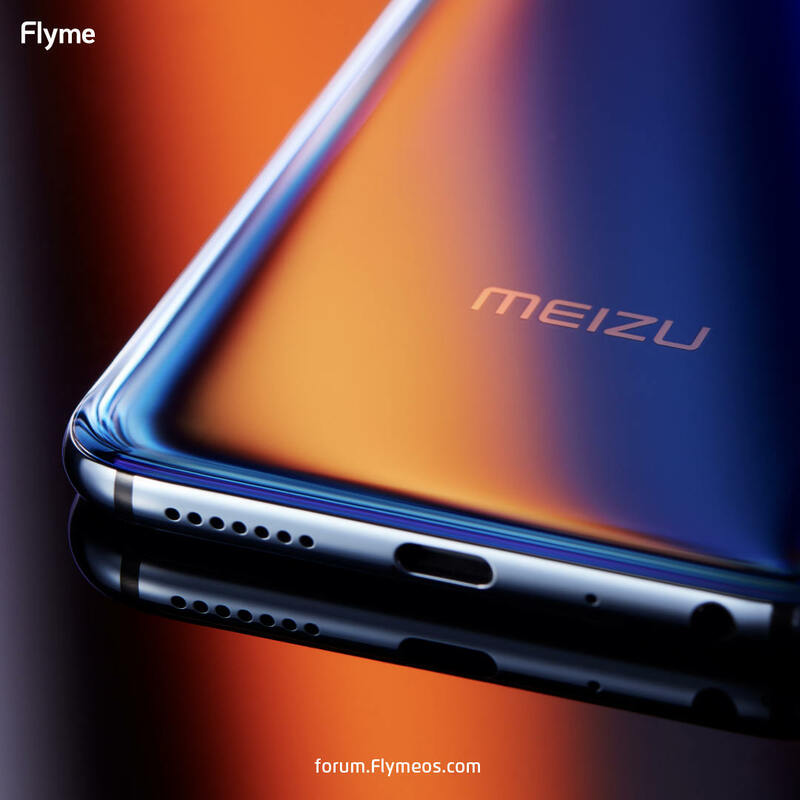 Also it's the only MEIZU phone with notch screen. 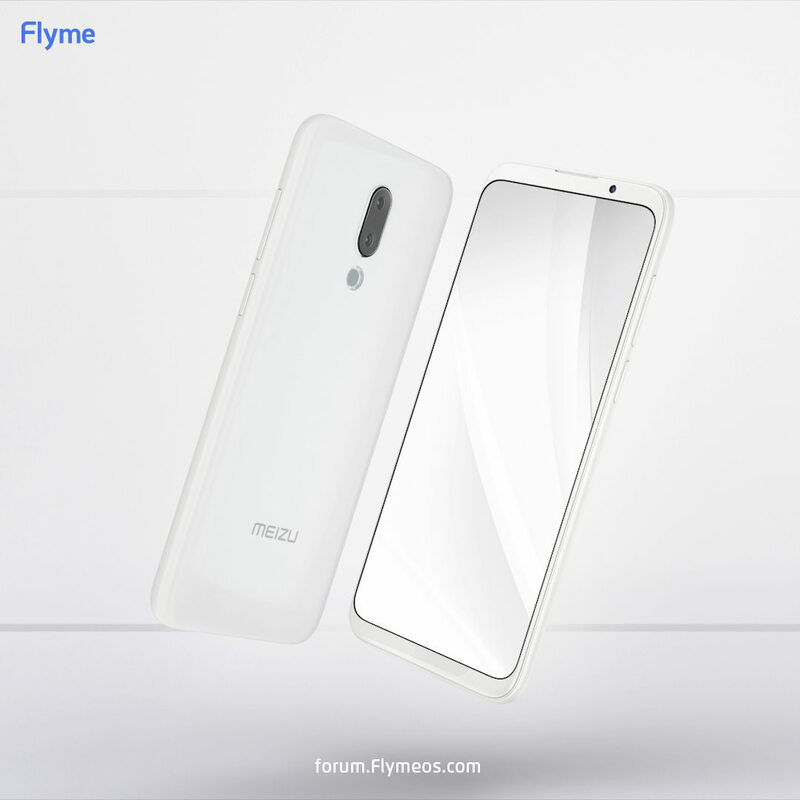 Although users might think all notch screens look the same, however, MEIZU X8's notch is much smaller and smoother than other notch screens. 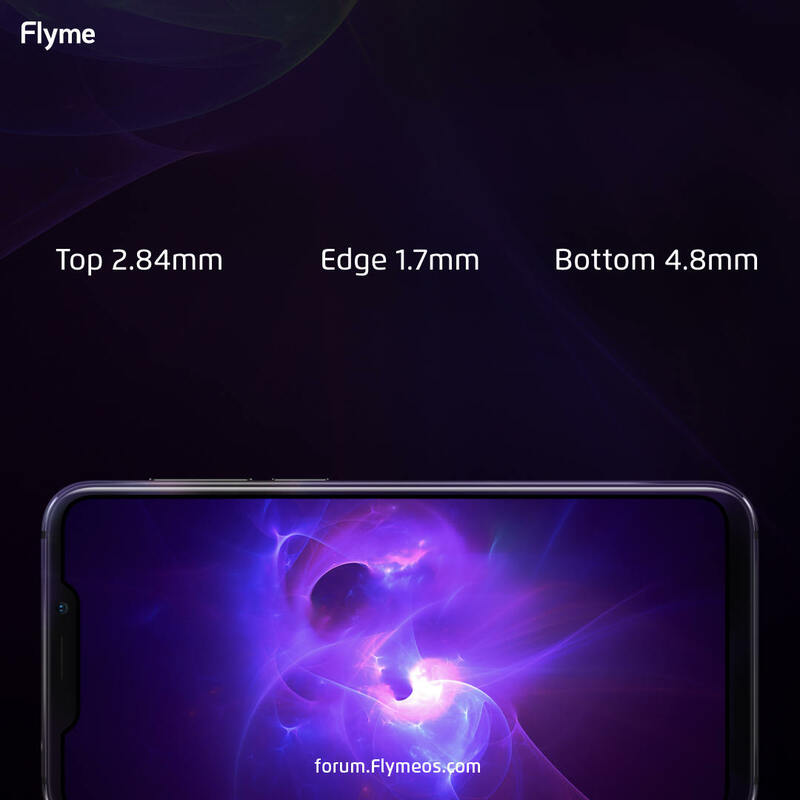 Also this notch holds the world's smallest 20MP selfie camera. This shallow notch costs 2 million USD to design and made. 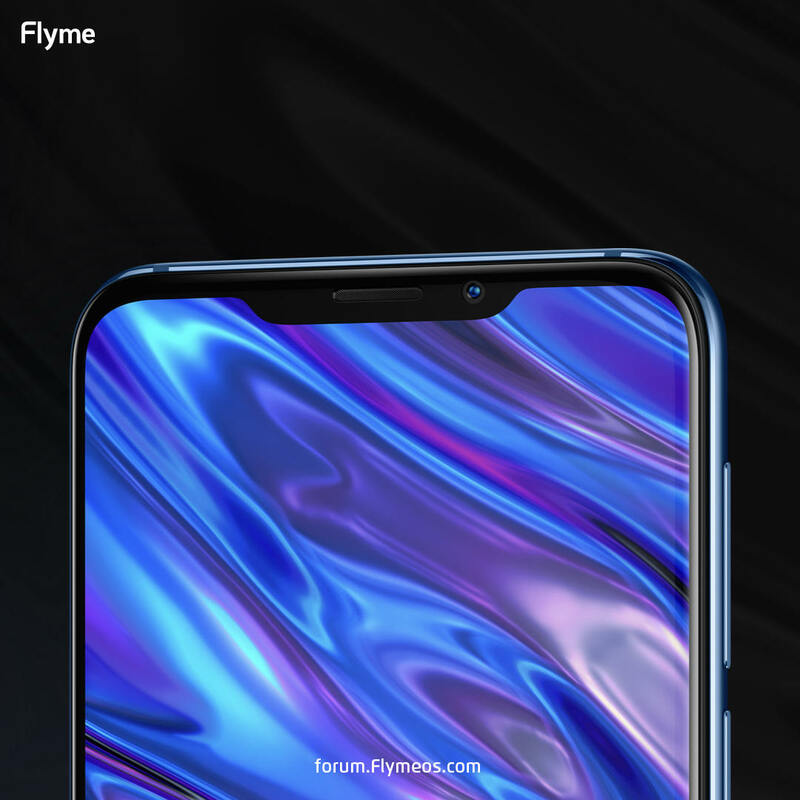 The screen-body ratio is 89.6%, with a bottom so thin that it only has 4.8mm, thanks to the COF technique the same as iPhone XR. X8 comes with 3 variant: black, blue and white. The white variant is very special becuase it has black front panel so it's called 'Panda Color Variant' by our fans. X8 boasts a Snapdragon 710 processor and dual camera. 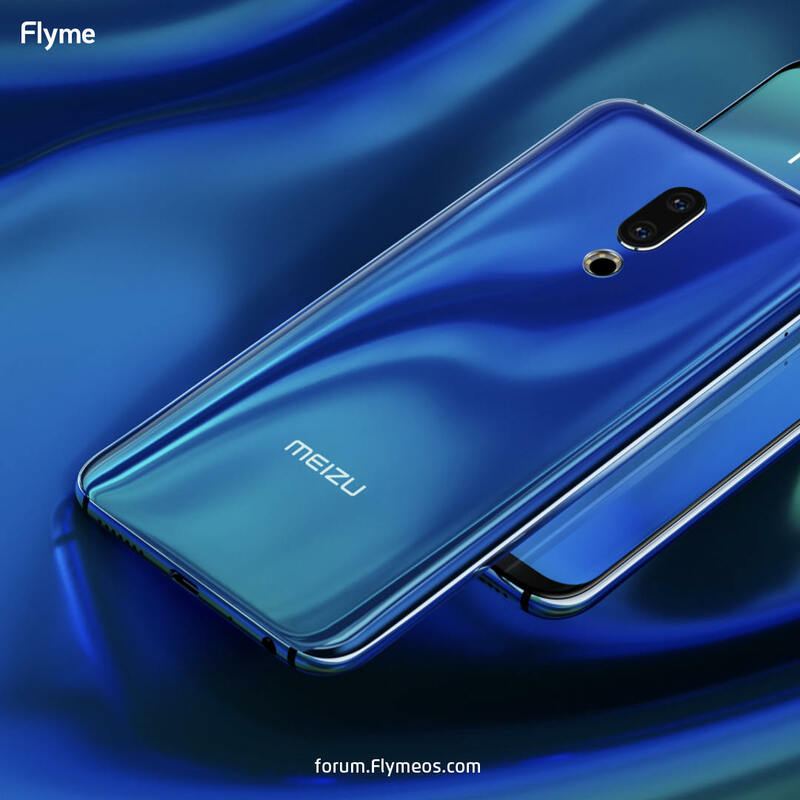 The senior VP of MEIZU, president of Flyme division and MEIZU Accessory Division: Yang Yan (known by MEIZU fans as YY) is now on stage! 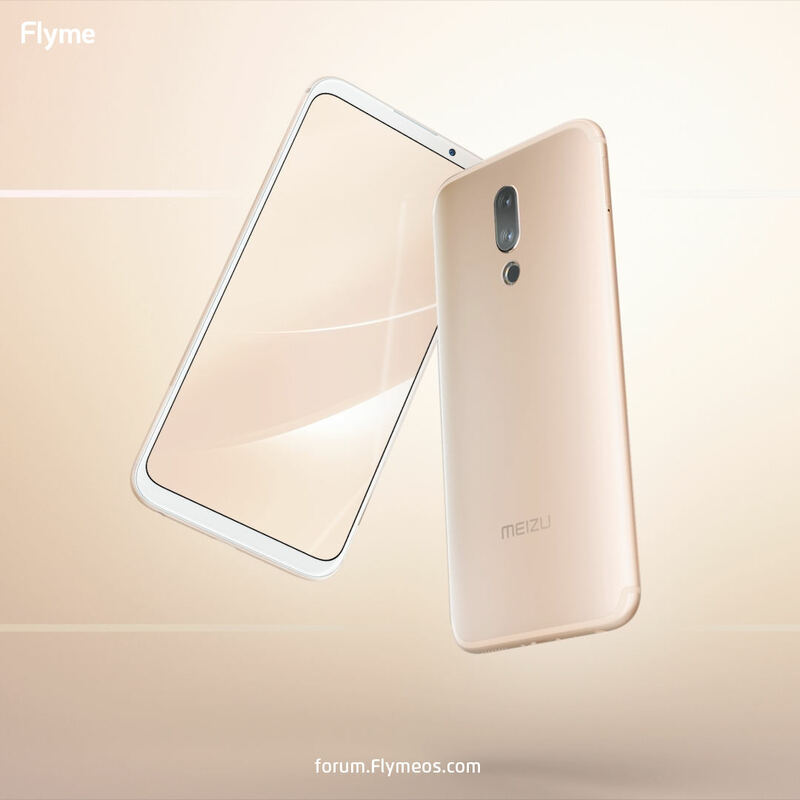 But surprisely today he is not introducing Flyme, but giving us news on new MEIZU accessories: EP52 Lite and Power Bank 3. 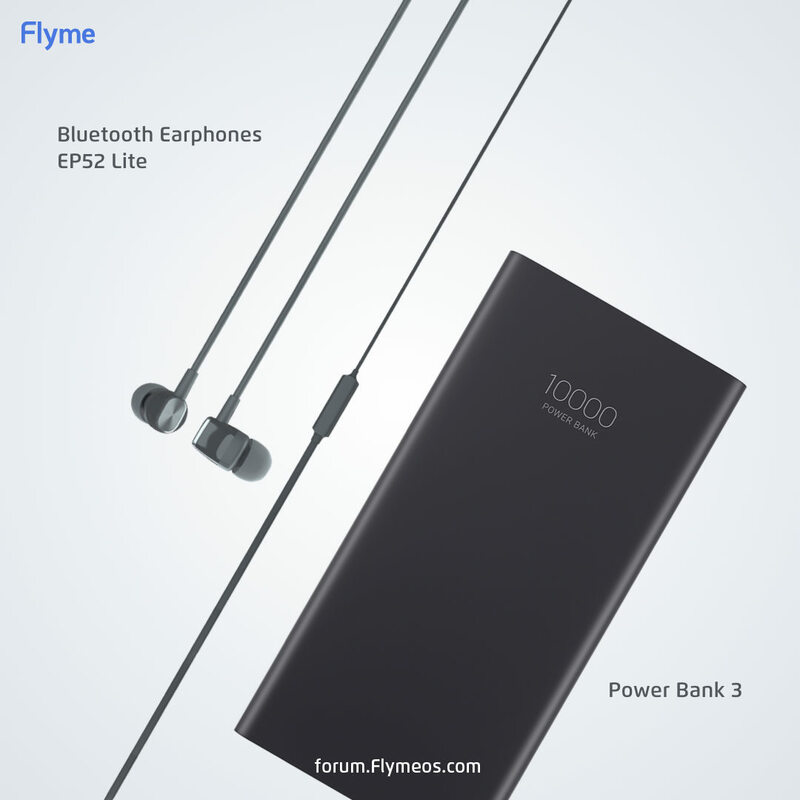 The EP series bluetooth sports earphones are widely accepted by the market, and had now sold out more than 1.5 million earphones! Today the new EP52 Lite looks younger, lighter and more suitable for your everyday long-time wearing. 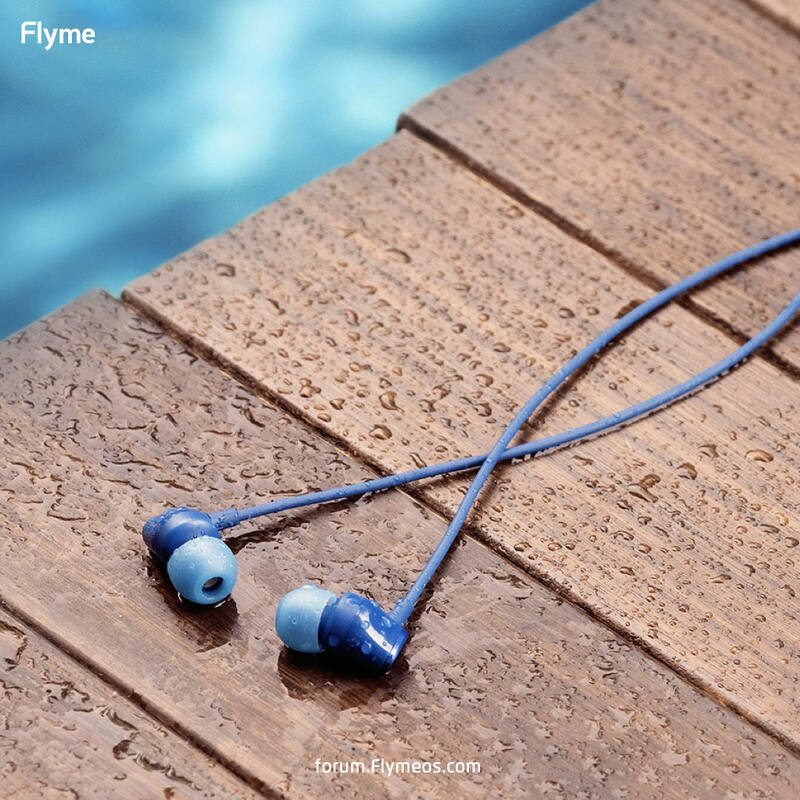 It has only 2.3gram for one earphone, and it's IPX5 waterproof, so you can use it when you're working out. And another important accessary for nowadays is powr bank. People are using their smartphones more and more heavily but the phone's battery sometimes cannot last that long. 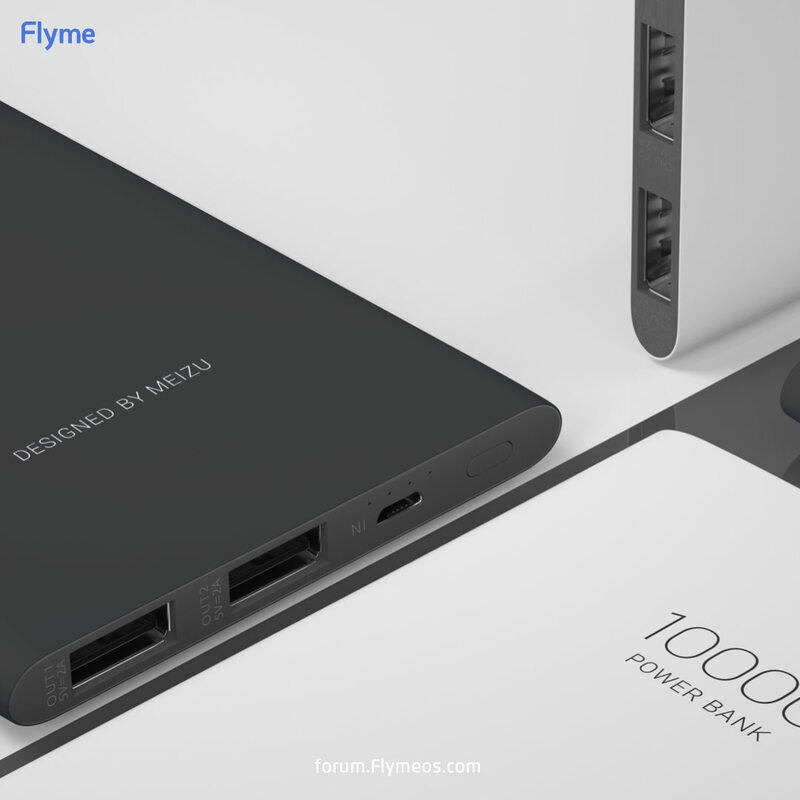 So to make a lighter and easier carrying powerbank, we now have MEIZU Power Bank 3: it has 2 USB output ports so you can charge 2 devices at a time. The body is smaller and lighter but the weight is lighter. 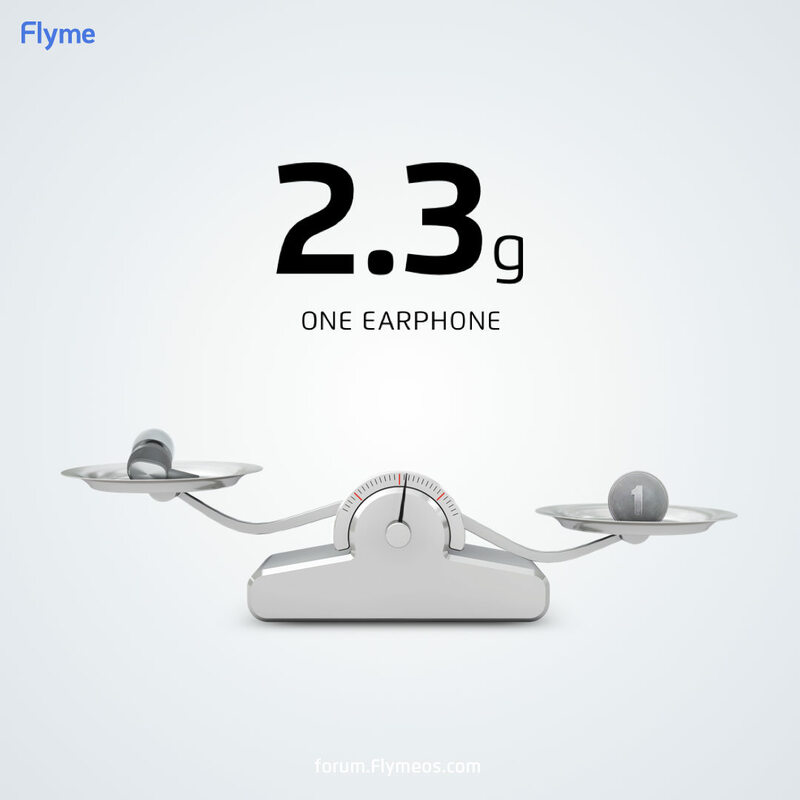 It also has 18W fast charging output so you can charge your devices rather quickly. 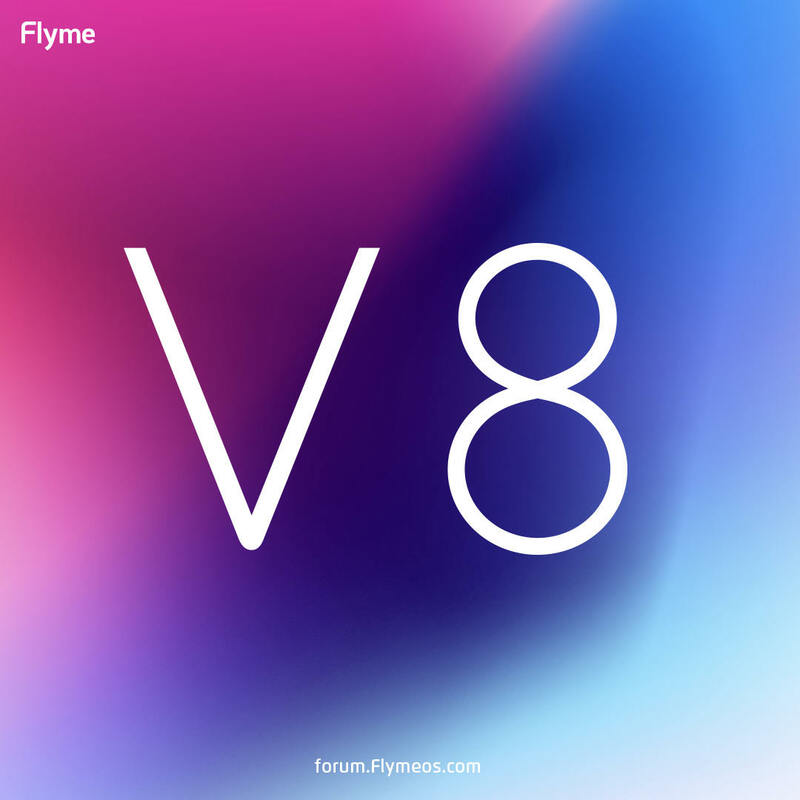 V8 has a metallic unibody and an outstanding screen. Also the widely critized P10 CPU is gone at last. 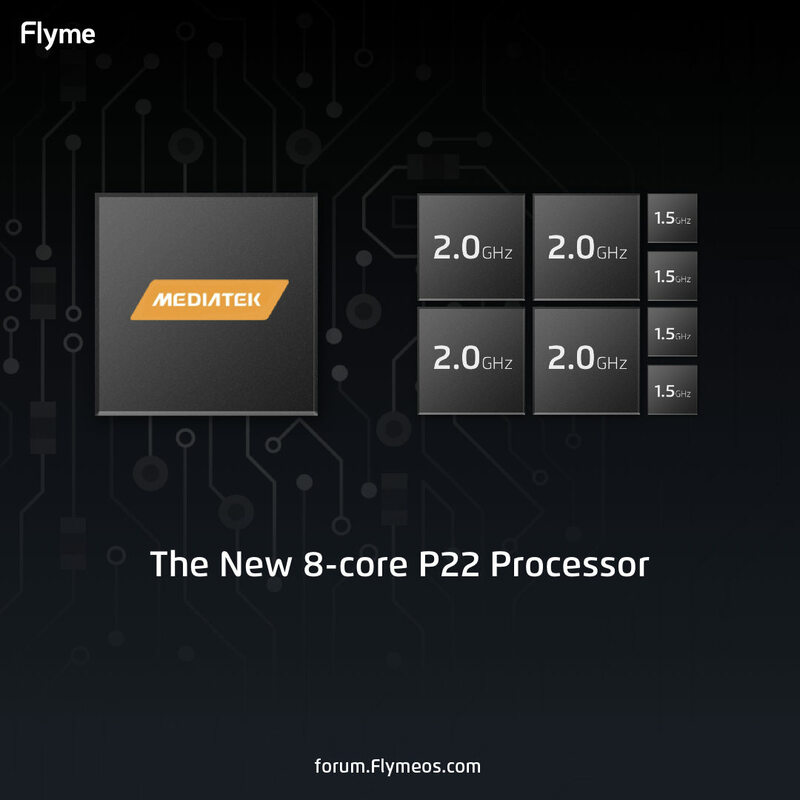 On V8 it bolds an 8-core , 12nm P22 CPU. 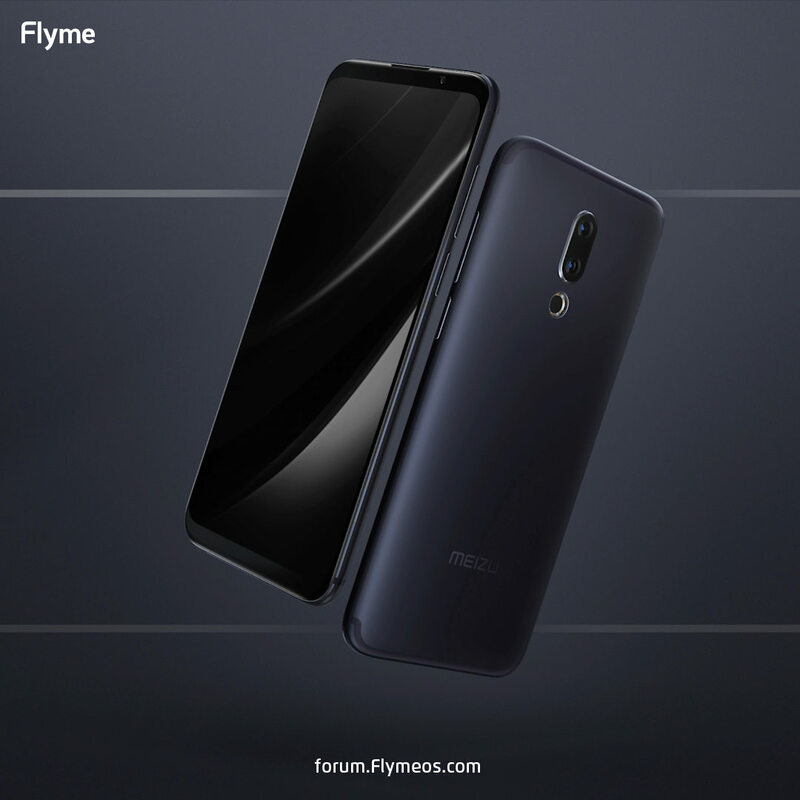 It also has 4GB RAM +64GB ROM. Although it's a lower-end series compared to 16 series, it has smooth game performance. Thanks to the powerful P22, V8 can easily run popular games in high FPS mode. 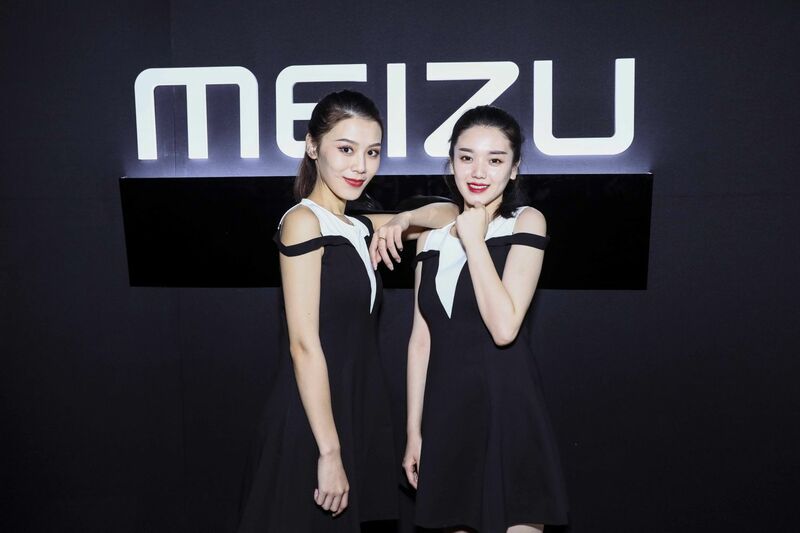 On this lower-end phone, MEIZU still managed to fit a dual-camera into V8. 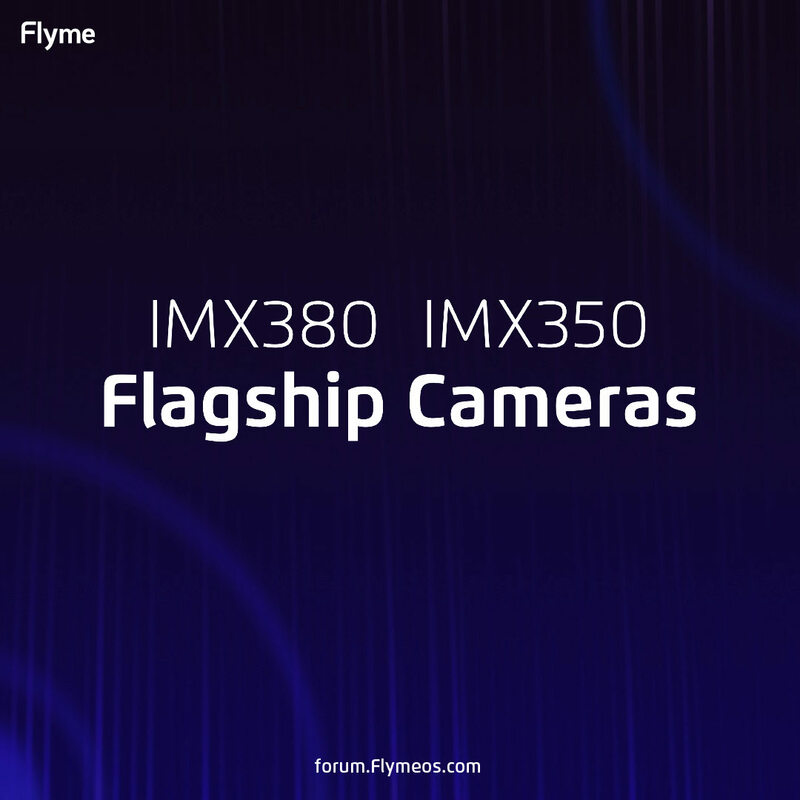 The camera of 16X is the classic combination of IMX380+IMX350, a flagship 20MP+12MP, which is far beyond the standard of other competitors. It has ƒ/1.8+ ƒ/2.6 wide aperture blurring and a lot other merits which guarantee far better image quality. Not to mention ArcSoft algorithm to beautify your portraits. 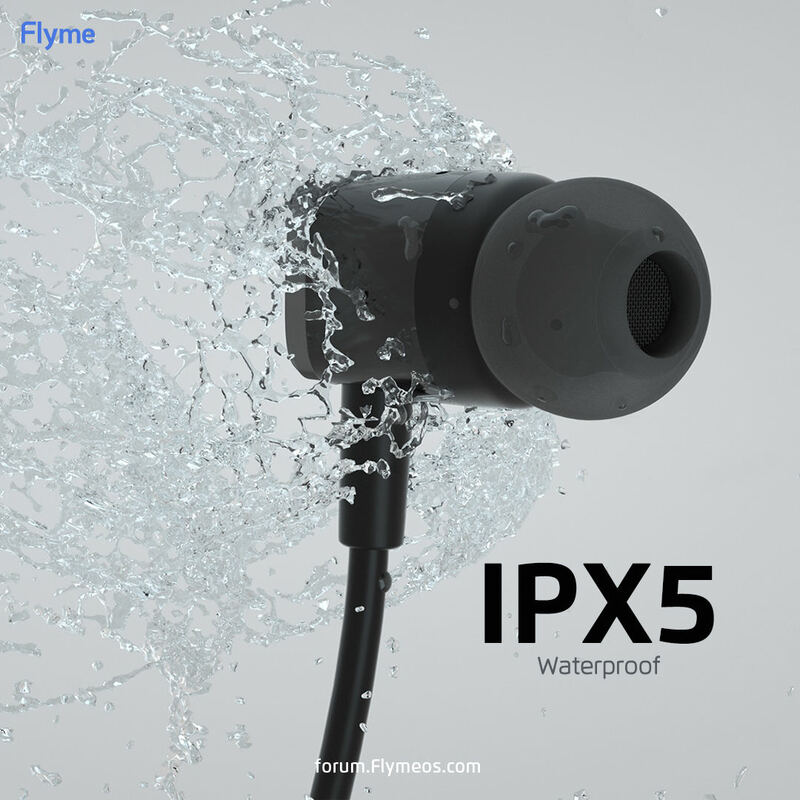 We believe that the 16X's camera can easily compete with cameras from phones of 3K-5K RMB. Although it's a mid-range phone, the 16X's craftsmanship is most complicated within its price range. Some might say its hand feel is more premium than the 16th. 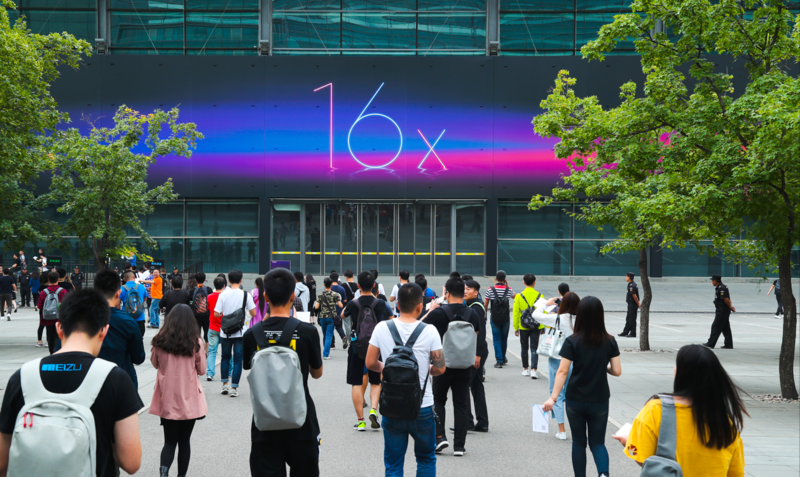 The 16X has black (with purple shimmering), gold and the widely prasied Porcelain White. And now let's see what are the merits of 16X's screen. 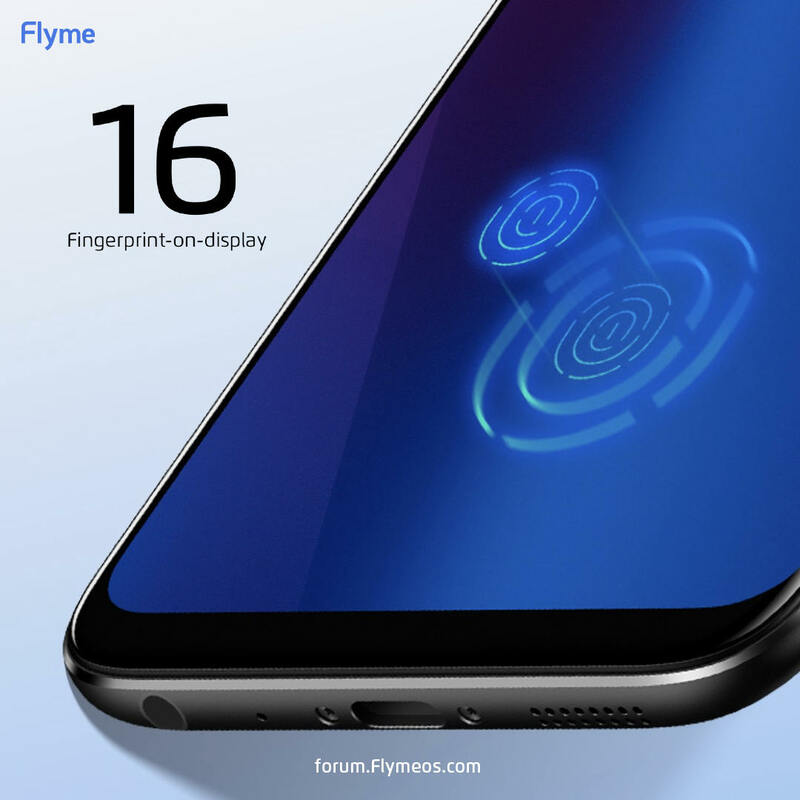 It's a 6.0-inch FHD, full laminated screen with an FOD (fingerprint-on-display). 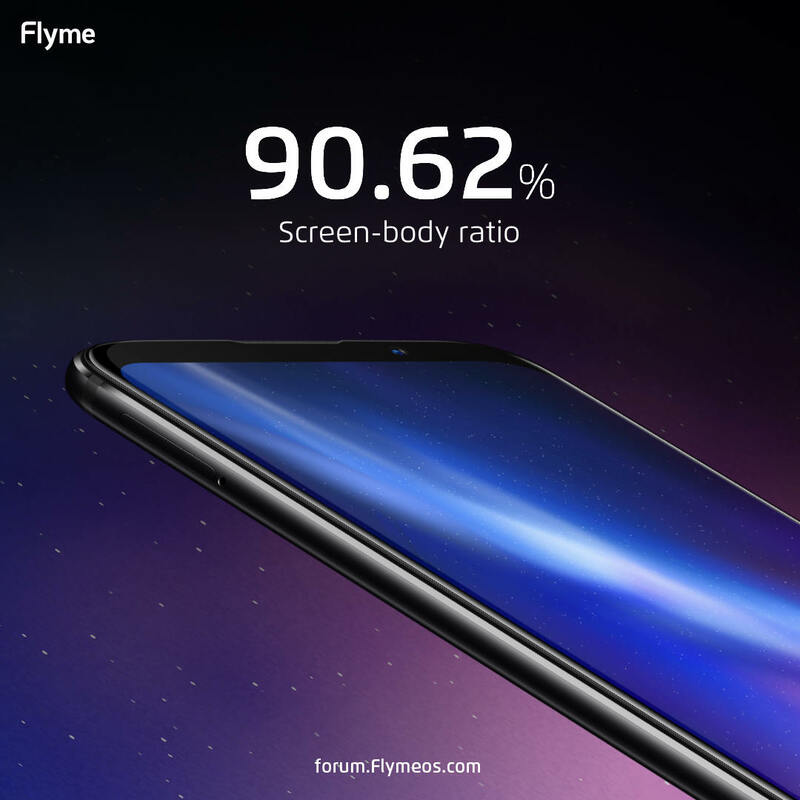 And the screen-body ratio reaches an astonishingly 90.62%. 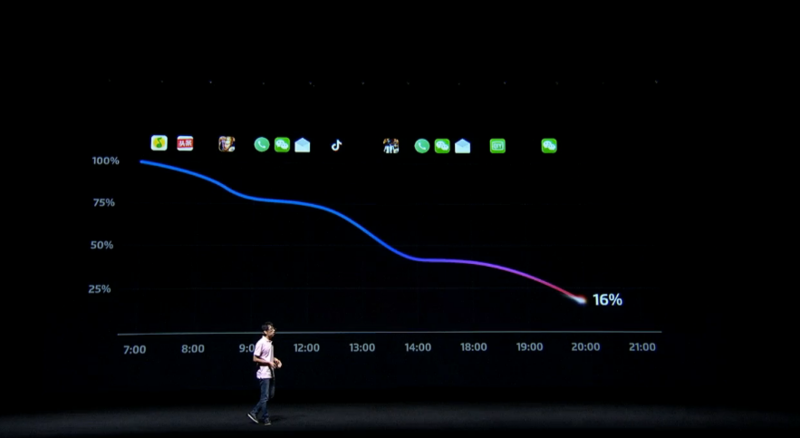 Other than performance, the 16X's battery efficiency is also outstanding. Within the team, we believe that a qualified smartphone, which is capable of perfectly fit into a user's daily usage, should be able to bee used a whole day when a user is away from home, away from his charger. So we traced a user's daily routine to see how the battery performed. As it turned out, it guarantees a day of normal usage. 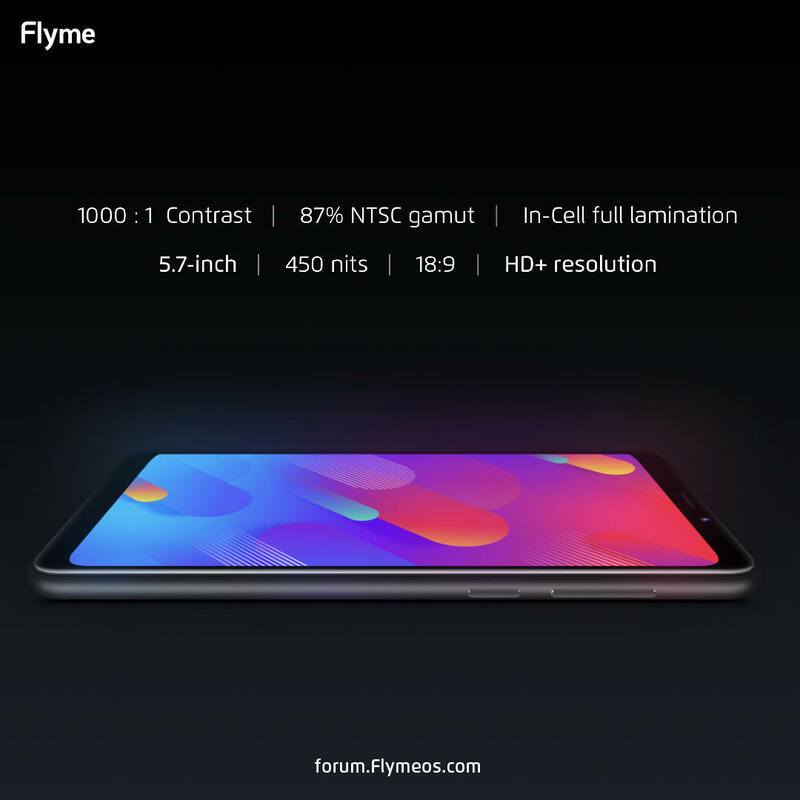 The 16X is now being introduced. The 16X's position is mid-high level, which means it has merits of 16th, but slightly cheaper in price than 16th. The hardware of 16X is outstanding. 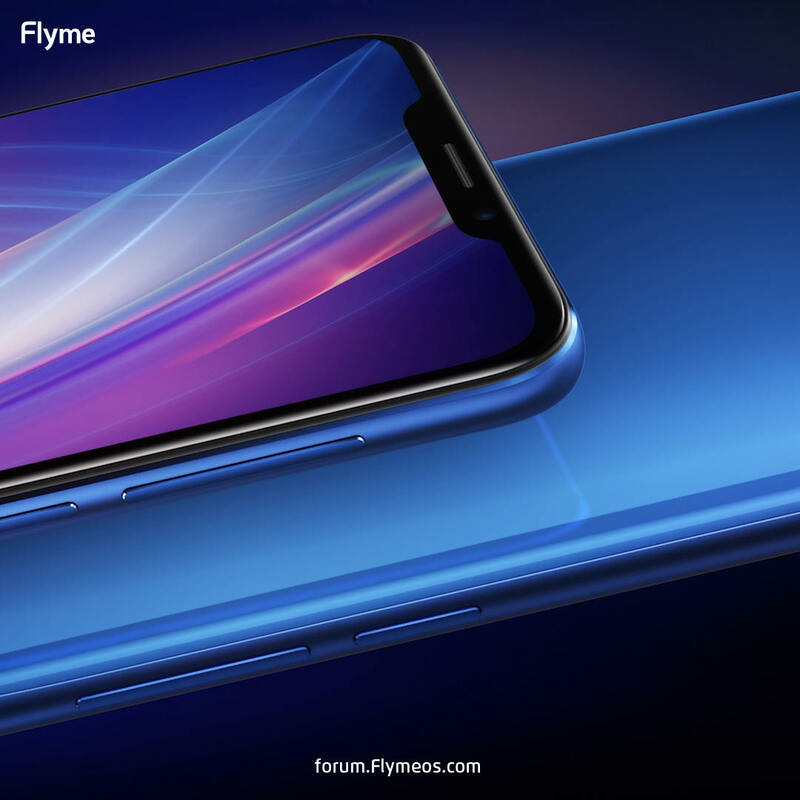 It bolds a 10nm Qualcomm Snapdragon processor 710 and Adreno 616 GPU. 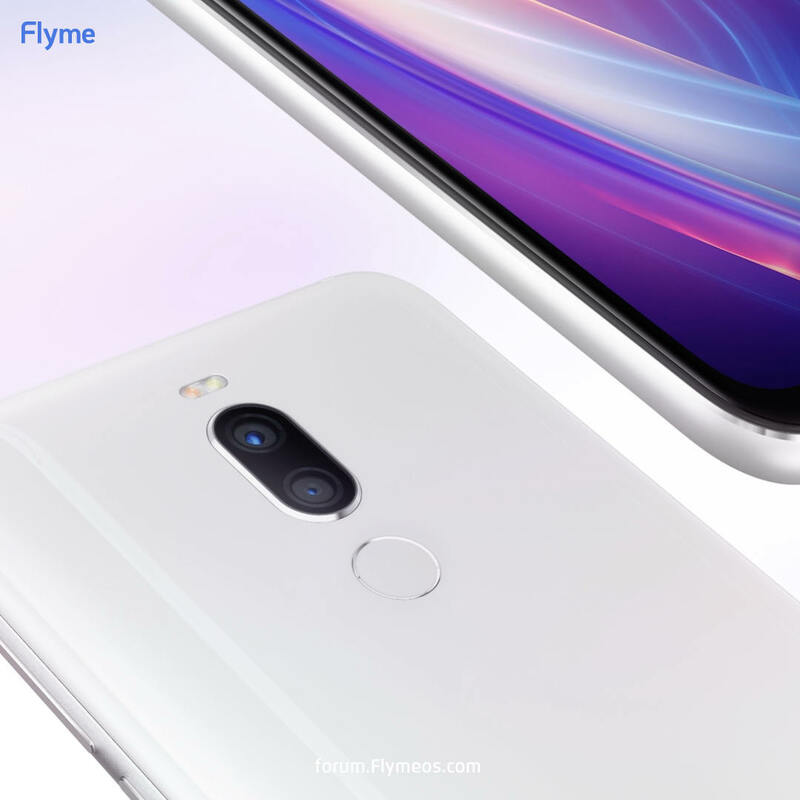 Although some other smartphone brands now have so-called "turbo" "dual-turbo" (maybe they will have triple-turbo soon LOL) accelerating technique to enhance the performance. 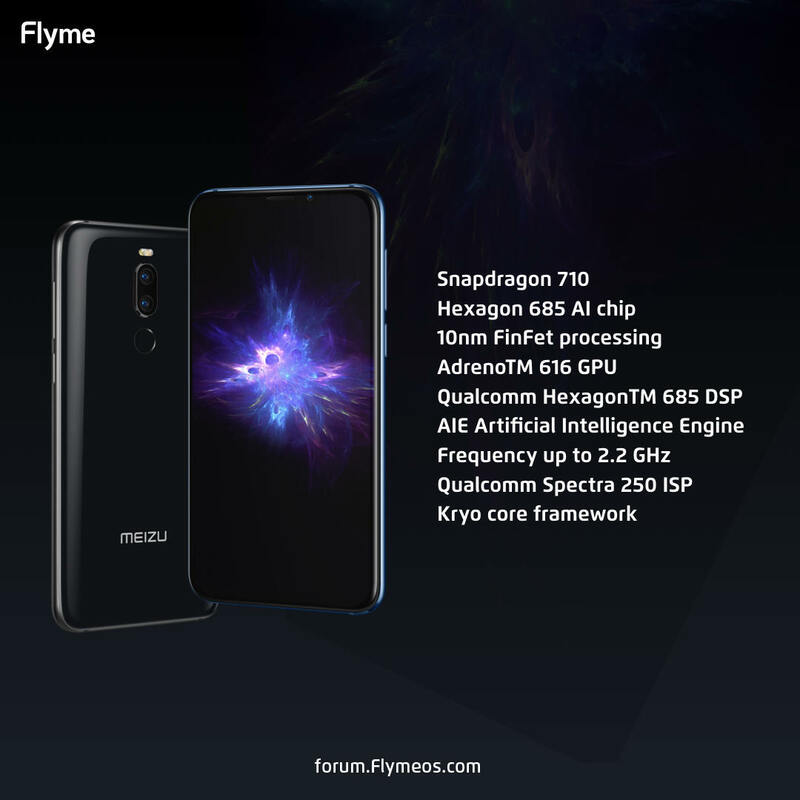 But the Adreno 616 combined with Flyme is much more efficient. 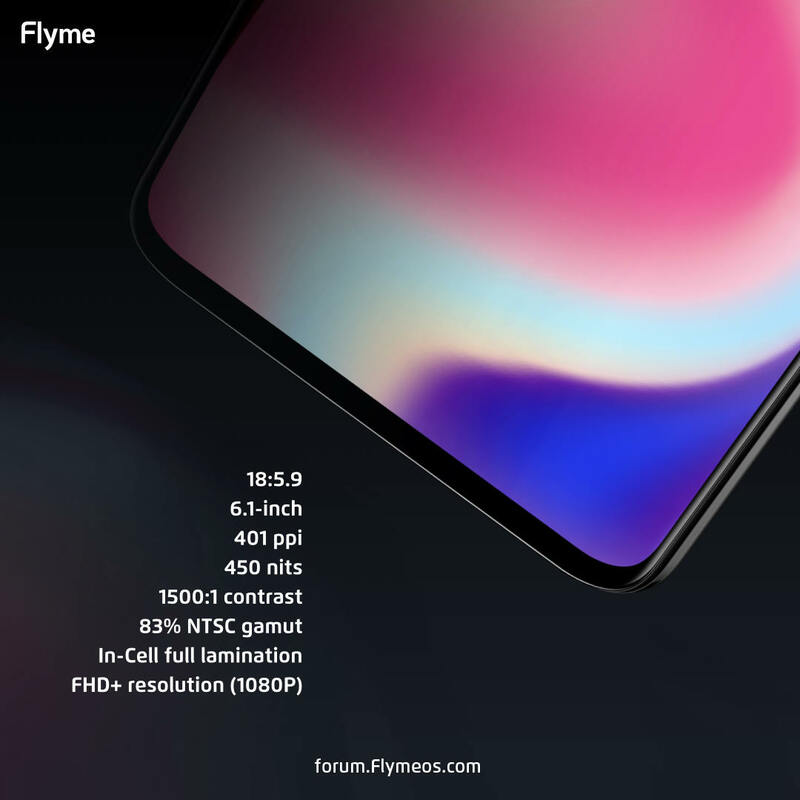 Which means now you can have the flagship performance on 16X (a mid-range price phone) the same as flagships of other brands! The launch event has begun! 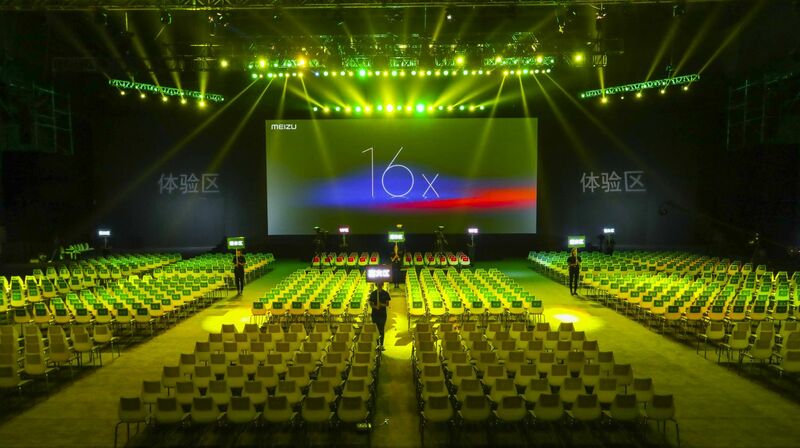 The senior VP of MEIZU, old friend of our fans, Li Nan is once again standing on the stage introducing this event!The 16th is a huge hit, which is so popular that it's out of stock everywhere, there is even a record that on JD.com (one of China's leading e-commerce platform), MEIZU 16th sold 1000 devices in just 1 second. 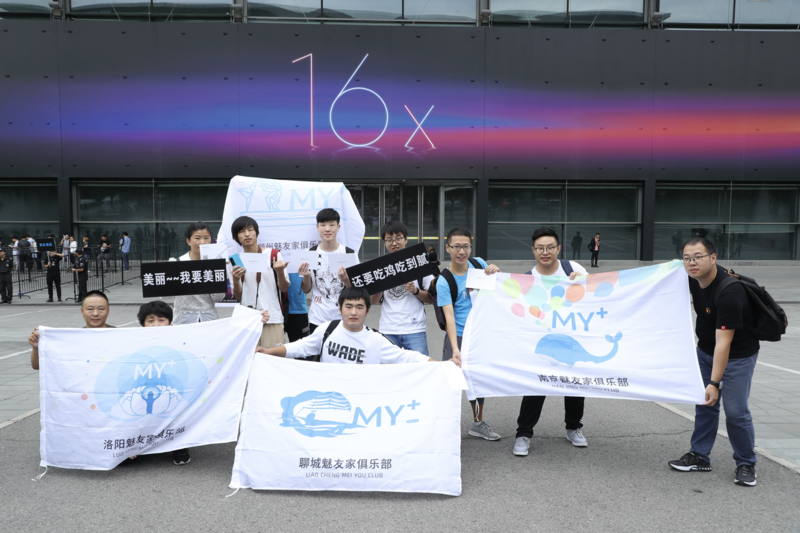 Li Nan conveyed that after the serious hurricane did not damage the company, and fans are reassured about the safety of all staff. The fans and media also highly appraised 16th, and yet we want to present you another small evolution: a new color variant! A stunning metallic glowing Aurora Blue! 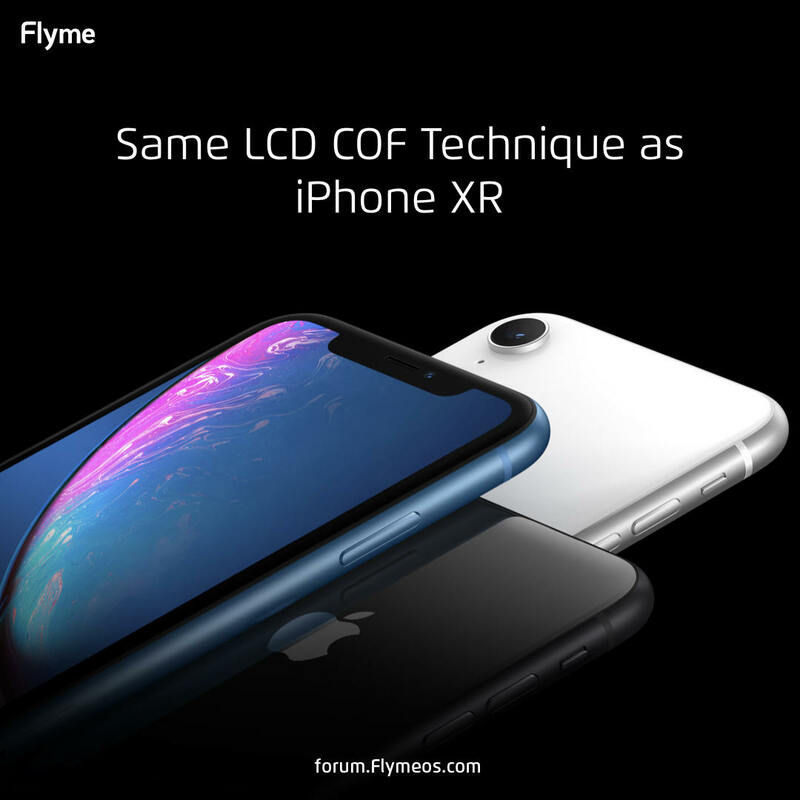 It's not the same as the glass technique as other OEM had done, but rather, used a multi-layered photoelectirc sputtering coating, which is 300% more expensive than the glass coloring, and guarantees a breath-taking effect and hand feel. 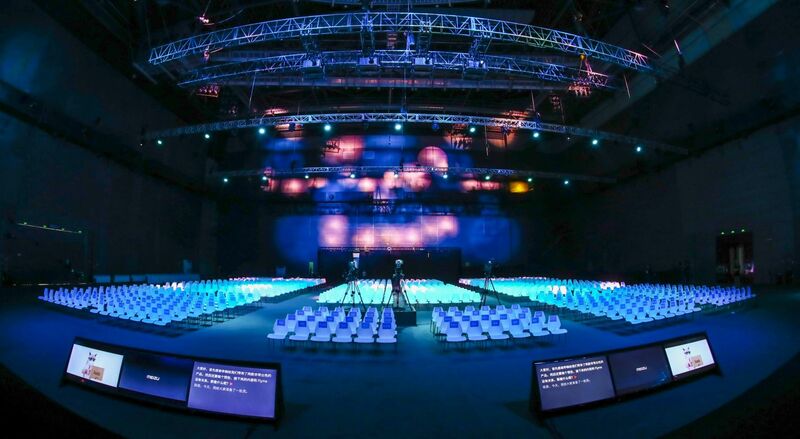 The weather today in Beijing is beautiful, and again we are holding this event in Beijing Performance & Artist Center. i m exciting to watch this .! Back with a bang and that to 5 in a row!! any news about b20 support? 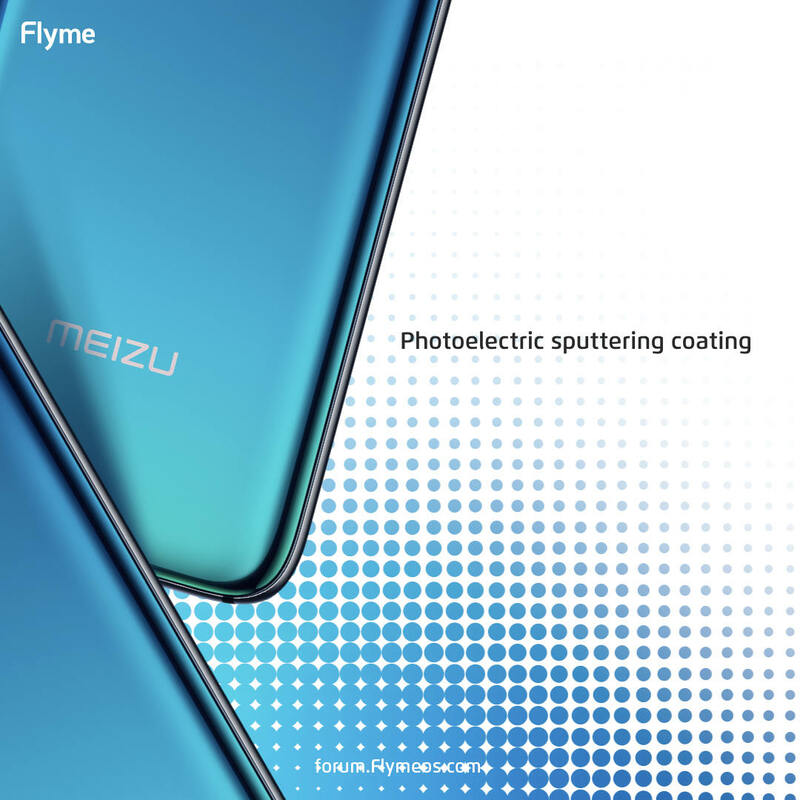 s4tch： https://www.meizu.com/16x/spec/index.html there's no b20 listed here... let's hope for an international version then. there's no b20 listed here... let's hope for an international version then. mayaiv： There is not b20 because that is not a Global version. 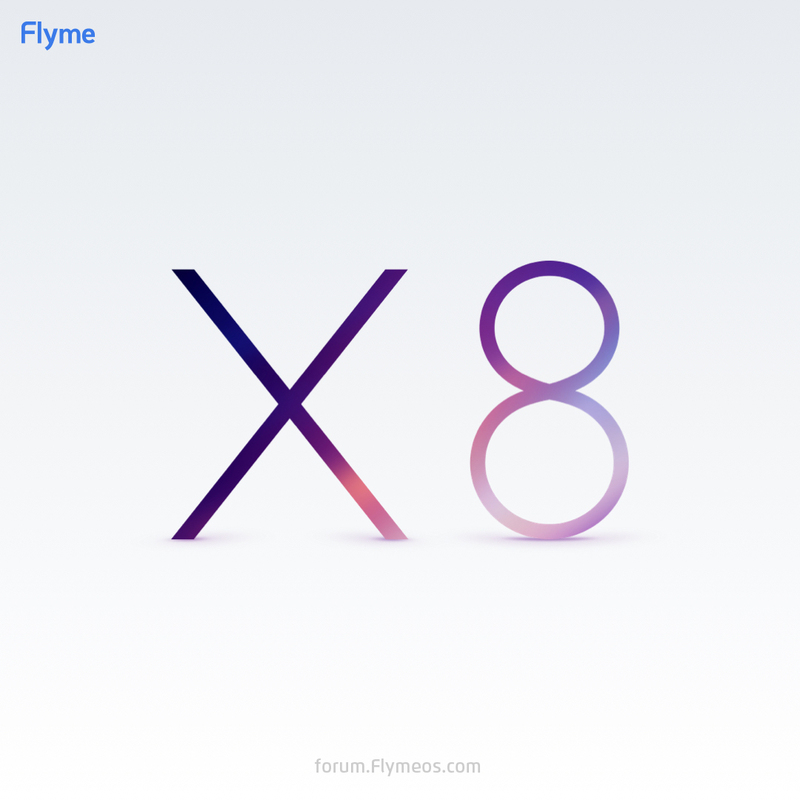 I want X8 to be my next Meizu phone that I have. The design and the model is so make me???????????????????????? great . send my x8 .